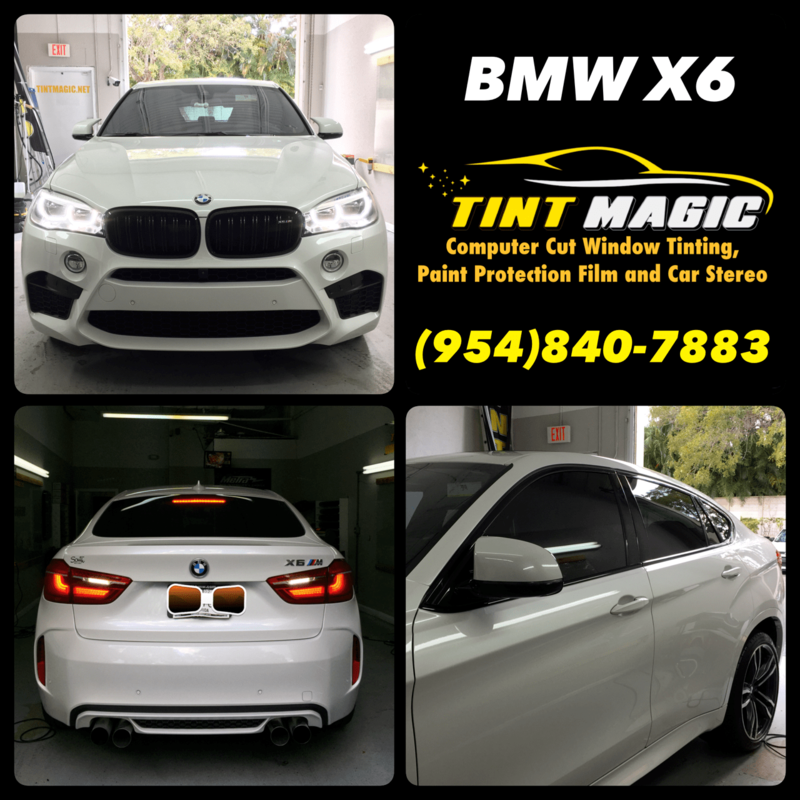 BMW X6 at Tint Magic Window Tinting Coral Springs. We are located at 11344 Wiles Road Coral Springs, Fl 33076. Call us for a free estimate! (954)840-7883. Unrestrained styling, raucous power, and surprising agility define the X6—although its fastback design limits rear-seat room and cargo space. A 300-hp 3.0-liter turbo inline-six with an eight-speed automatic can be ordered with either rear- or all-wheel drive. An audacious 445-hp 4.4-liter turbo V-8 is optional and comes only with all-wheel drive. The standard Driving Dynamics Control system allows for five distinct driving modes and an available air suspension provides even more fine-tuning.